Jaren Jackson Jr. showed plenty of defensive potential at Michigan State. But his offensive play might determine just where he deserves to be drafted. Contributor Nick Sciria breaks down Jackson's potential as a perimeter big. Today’s article comes from contributor Nick Sciria. Nick is currently a freshman basketball coach in Cleveland, Ohio and uses his free time to point out the nuances of basketball on his Twitter feed. You can follow him on Twitter here. 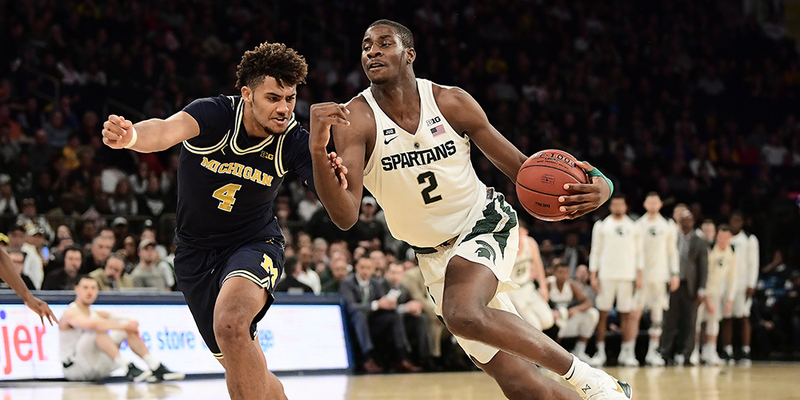 With the NBA draft just over a week away, Jaren Jackson Jr. remains one of the most intriguing prospects—to the point where teams may be willing to trade up to snag him. He has the defensive traits most coveted in a modern big man: length and mobility. But determining just how high he deserves to be drafted depends a lot on his offensive potential. A defensive big man who can roll and finish is valuable— but if he can also play on the perimeter and stretch the defense? That’s another matter entirely.